A day of celebration which aims to promote awareness, knowledge, use and understanding of the internet among citizens, businesses and communities. To mark Internet Day 2018, we launched the ‘Digital Town’ initiative which highlighted the benefits and possibilities of the internet and celebrated the digital achievements of a local town. We chose Gorey, Co Wexford as the 2018 Digital Town – we celebrated Gorey’s digital achievements and highlighted the importance and impact of the internet on society, on businesses and on communities, while demonstrating the benefits and potential of digital towns. Gorey was chosen for its achievements in cultivating a truly digital environment in the town, and for its ongoing successes in fully embracing digital for its residents and for local business. We believe that through showcasing its efforts, Gorey can inspire Irish towns to begin their journey to becoming fully digital. Over the month of October, working with Wexford County Council, The Hatch Lab and Gorey Chamber of Commerce, we planned and oversaw a number of digital engagements aimed at showcasing Gorey and developing additional digital skills and know-how for people and organisations in Gorey. 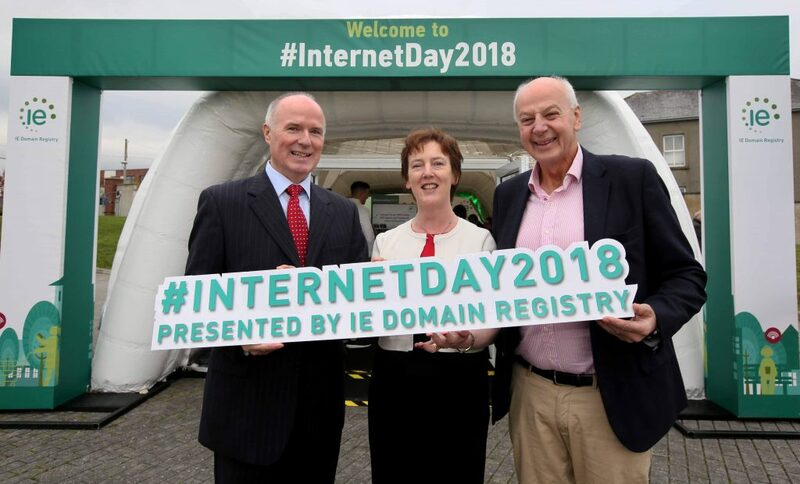 This work culminated in the official launch and celebration of Internet Day 2018 in Gorey on 25 October at the town centre – Civic Square, The Avenue. Open to all: From 11am-3pm, in the IE Domain Registry Digital Dome there was a team of leading digital experts providing free advice and digital demonstrations to business owners, community groups and citizens on all matters digital including skills, e-commerce, website development and mobile video. There was also the opportunity to try out a mixed reality experience, which immersed people in a 3D painting canvas called Tilt Brush. Check out our media gallery to see all the highlights from the day. In advance of Internet Day we undertook a host of digital engagements in Gorey, our digital town. 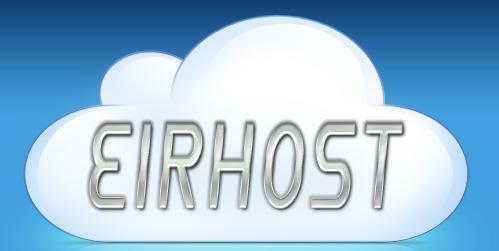 Take a look at what the participants had to say. The Kitchen @ Gorey: Cathy Farrell chats about how important the internet is for her business. She also outlines how useful it was having a food photographer to capture more professional product images to use across their digital assets. Abodoo: Vanessa Tierney discusses the benefits of smart working for all. She also outlines the talent available in Gorey and what they are doing to promote that to employers. Paytient Payments: Ruairi Gough chats about the benefits of new software he has developed locally to help dentists offer patients different structured payment options at point of sale. He also talks about his ability to run a global business from Gorey. Wild About: Fiona Falconer explores the benefits of our OPTIMISE programme to an SME, and the importance of small, local businesses to rural economies. Getting Citizens Online: Our Customer Operations Manager, Oonagh McCutcheon and Mayte Gonzales from Digital Skills for Citizens talk about the benefits of the Getting Citizens Online programme. Digital Town: John O’Connor from the Hatch Lab, Amanda Byrne from Wexford County Council and Jim Hughes from Gorey Chamber of Commerce discuss how Gorey has embraced digital and the important of digital to the economic strategy for the area. Fashion boutiques: Joe Dalton from Breakthrough Brands and our Customer Operations Manager, Oonagh McCutcheon discuss the benefits of email marketing training for local fashion boutiques in Gorey. Creagh College: Blacknight Internet Solutions and our Customer Operations Manager, Oonagh McCutcheon tell us about the recent web training provided to students in Creagh College and also the .ie domains and website hosting packages that will be made available to students. 2017: To celebrate Ireland’s third annual Internet Day, we hosted an evening with Wikipedia founder, Jimmy Wales. Read more about the day and view Jimmy’s keynote speech. 2016: Ireland’s second Internet Day, put the spotlight on the benefits of e-commerce and how SMEs can overcome various challenges. It included a keynote speech from Emma Sinclair, MBE, co-founder of EnterpriseJungle. Check out the videos from the day. 2015: Internet Day featured a free public exhibition, The History and Future of the Internet in Ireland, and two morning discussion panels on e-commerce and the internet in 2030, with participants from Google, Dogpatch Labs and Irish start-ups Pointy and Sedicii. Futurologist Rudy de Waele addressed attendees on emerging trends in internet technology and how they’ll affect society in the decades to come.